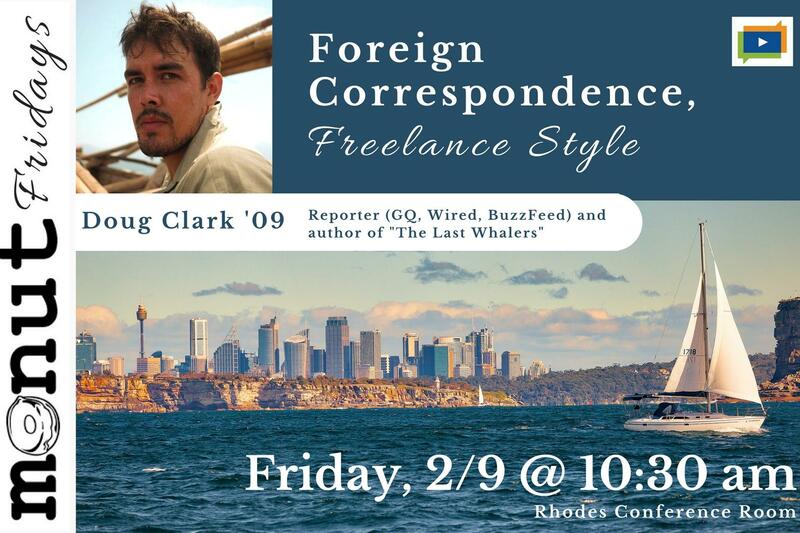 Join us for Monuts Friday on February 9 for a conversation with freelance reporter Doug Clark (Duke '09). His work has appeared in GQ, WIRED, Buzzfeed, NYT, Huffington Post and many more. Clark is the author of "The Last Whalers: Three Years in the Far Pacific with an Ancient Tribe and a Vanishing Way of Life," which will be published in 2018. The discussion will focus on "Foreign Correspondence, Freelance Style" and will be moderated by Professor David Graham at 10:30 in Rhodes Conference Room. Coffee and Monuts provided! Want to learn more about Doug Clark?